Capitalizing on the global expansion of scrapbooking, Far Flung Craft, a company from the exotic South East Asian country of Singapore is showing their patterned paper collections and new coordinating fabric tags and buttons at CHA Winter 2010. 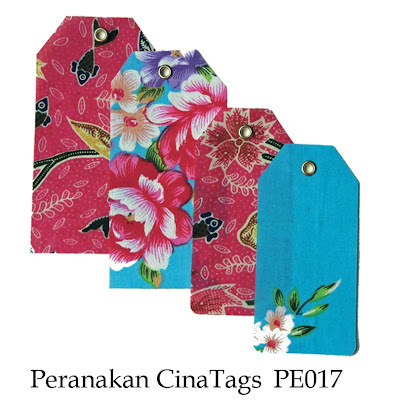 Expanding the popular Asian inspired paper lines, ten new fabric tags sets will be released along with 5 sets of fabric covered buttons that coordinate with each of our of the existing paper lines: Chinese New Year, Meiji, Peranakan, Bollywood and Batik. 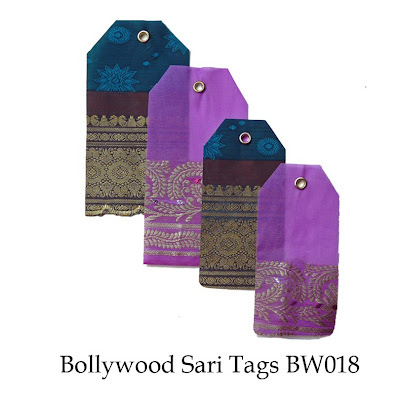 The new fabric tags and buttons are hand crafted from imported fabric featuring Chinese Silk, Indian Sari Fabric, Indonesian Batik and Japanese Linens. Bring an exotic feel to your layouts and projects with Far Flung Craft’s paper and coordinating embellishments. Ooooohhhhh Soooo Pretty!!!! I LOVE the Bollywood Tags!!! The others are great too....but the Bollywood tags are calling my name!! LOVE this stuff! Long time coming! I have always loved the Indian fabrics and decor. Bollywood Sari from what I can tell from the tags are no exception. So beautiful! These are really pretty, but I don't know that they would fit into my personal style.